The Apache team have rounded up the best stand-out pieces for the up coming party season of Christmas and New Year. If you’re a sharp suit kind of guy then we’ve got plenty of wardrobe ideas for your next night out. This week Apache Online are giving away 10% off on all new Guide London clothing when you spend a minimum of £40.00. Remember to enter this Guide London discount code, ‘GUIDELDN‘ at your checkout. 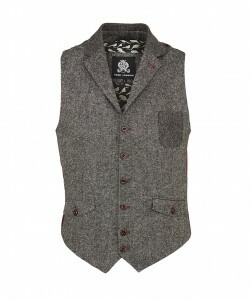 Look the most dapper this winter season in the Donegal Design Waistcoat. It’s full of contrast with it’s patch pocket, button holes and bordeaux contrast back. A great contemporary take on a classic piece of menswear. Alternatively, we have the Cotton Sateen Waistcoat. 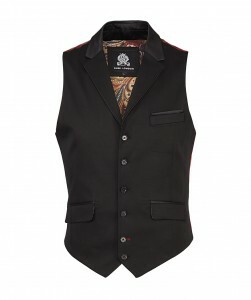 This Guide London waistcoat presents a sophisticated look with it’s paisley lining detail and slanted chest pockets. Plus the contrasting rich red back gives a perfect burst of colour for the festive season. New to arrive at Apache Online is this Tipped Collar Tonic Shirt. The two-tone Guide London shirt is spot on for hitting the town. 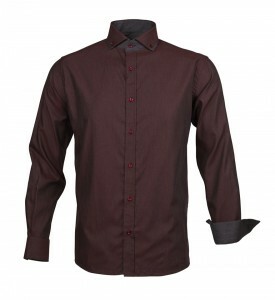 It features a button down tipped collar in a smart semi-slim fit design. The Retro Printed Shirt will give a nice kick to your wardrobe with it’s all over retro printed design. The striking print makes this a stand-out piece for the party season. Complete the retro look with a pair of these slim fitting jeans from Farah Vintage clothing. For effortless style and pure sophistication look to Guide London’s Diamond Printed Shirt. It’s one for the lads with it’s neatly trimmed collar and elegant diamond print. 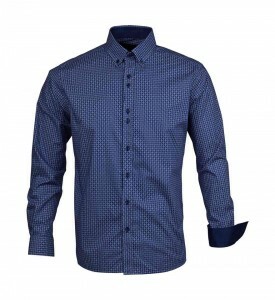 The shirt features a unique contrast placket trim and polka-dot detailing on the collar and under-cuffs. 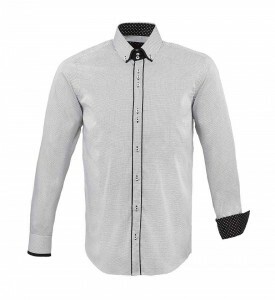 Try matching this shirt with these smart pair of Bi Stretch Voi Trousers in black. Be sure to check in at Apache Online during Black Friday and Cyber Monday, when you could get your hands on some amazing deals and the season’s most wanted mens fashion. 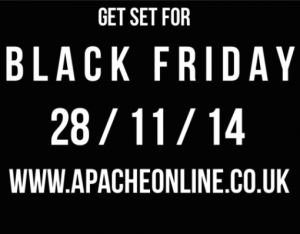 Black Friday will be coming to Apache Online, UK on the 28th November, just in time for you to snap up some great Christmas deals, therefore, saving you more money for those Christmas parties!